One of the best things about this time of year is all the tradition. Family tradition, school tradition, and city tradition. Nothing brings large groups of people together quite like the holiday season. I can hear you now…”Holiday Season?! ?”, it is way to early for you to be thinking about the holiday season but if you look behind you, that Halloween (and it was a week ago). That means Thanksgiving is only two Cowboys games away. That being said, Thanksgiving is really just the start of all out tradition season. Mankin and Sons Gardens is gearing up to provide you with the holiday decorations you need to make the next major holidays a huge success. The first thing you will need is a great Thanksgiving celebration. For that, we have got new flour sack towels in stock. 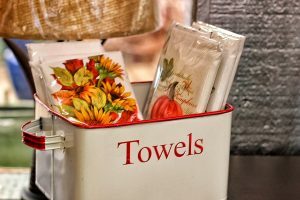 We have told you about our selection of flour sack towels and what makes them great, here. However, this time of year we really kick it up a notch. Stop by and take a look at our “Recipe” flour sack towels. Not only do they come in handy in keeping your kitchen from looking like a scene from a newspaper cartoon strip. They will also provide you with a simple recipe to help with dinner or lunch (everyone calls it something different). You cannot go wrong with one of these towels. If you are already had Thanksgiving planned for a month and want to start looking toward Christmas, we have your holiday decoration ready too. One of the things we take pride in with our retail space is, we provide our customers with great looking decorations for both the city home and country home. Christmas time is no different. We have decorations that will look great no matter your normal home decoration style. In fact, our selection is so wide and diverse that we could not fit them all in this post. We will create a completely separate post on all the selection, as we get closer to December. Last be certainly not least if you are ahead of the game and are looking for a Christmas Tree for your home this season. We have a small section of non-light Christmas Tress on sale right now. They won’t last long, so stop by today. We love this time of year. Let us help make this season one to remember. 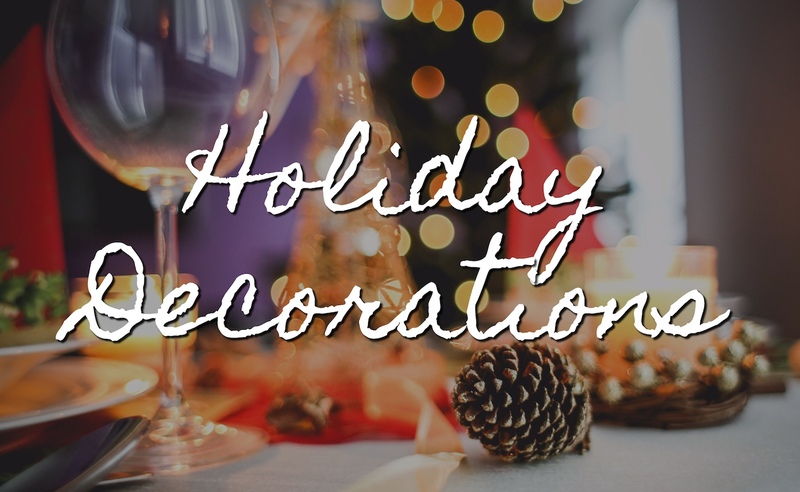 Stop by the store and let our team help you find the perfect holiday decorations for your home.